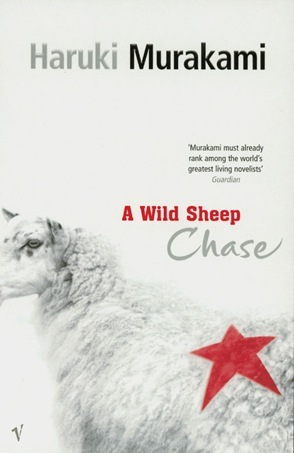 A Wild Sheep Chase is a novel published in 1982 by Japanese author Haruki Murakami (see other books I have read by the same author includes 1Q84, Sputnik Sweetheart, Norwegian Wood, After Dark, The Wind-Up Bird Chronicle, Dance, Dance, Dance). It is third book in Murakami’s “Trilogy of the Rat” (the Rat is one of the main characters in the book). As typical of a Murakami novel, the story is very strange and quirky, but surprisingly interesting. It follows a recently divorced young man in Tokyo who works at a small advertising company and has been ordered by a powerful man in black to find a sheep in Hokkaido with a star on its back who has inhabited his boss’ body. 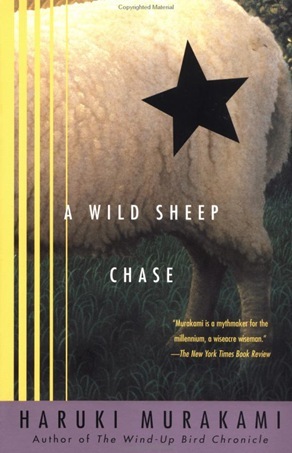 Yup, a strange plot indeed so I won’t even try to explain it more – but actually, wild sheep chase is an appropriate title! The sequel to this book is Dance, Dance, Dance, which is seen at separate from “Trilogy of the Rat.” One of the characters (Sheep Man) and the key location (The Dolphin Hotel) is common in both books.